Ratatouille is one of my favourite Pixar movies, and so I’ve been hankering after making this dish ever since I started this project. Well, our Riverford veg box included an aubergine this week, so that was all I needed to spur me into action. 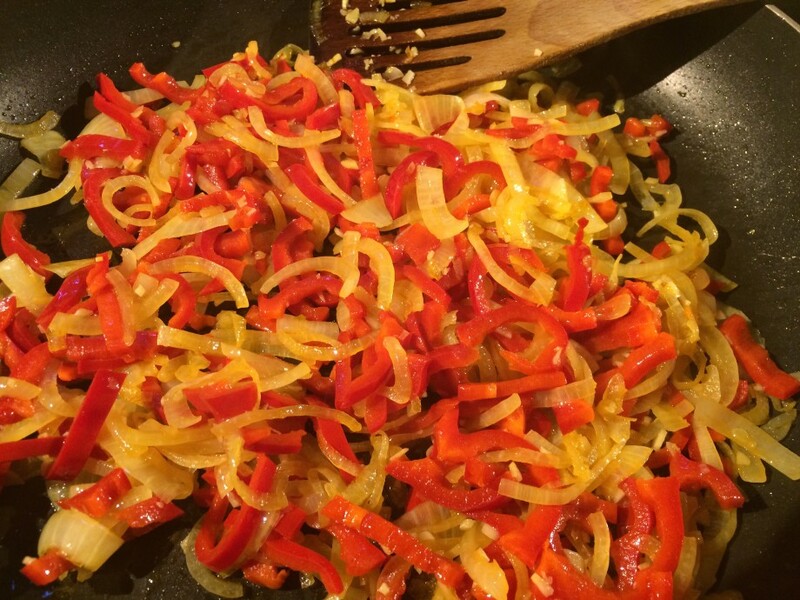 I start by cooking onions and garlic in olive oil for a little while, then add red pepper and cook for a few more minutes. Then empty the pan into a large mixing bowl. 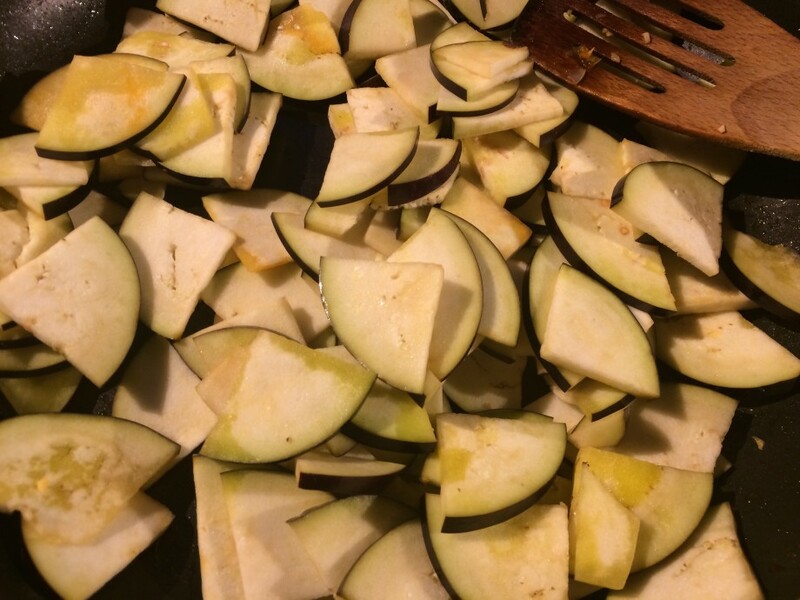 Next, slice an aubergine into thin slices, coat the pieces with olive oil and fry quickly in the pan until coloured. Add to the mixing bowl. 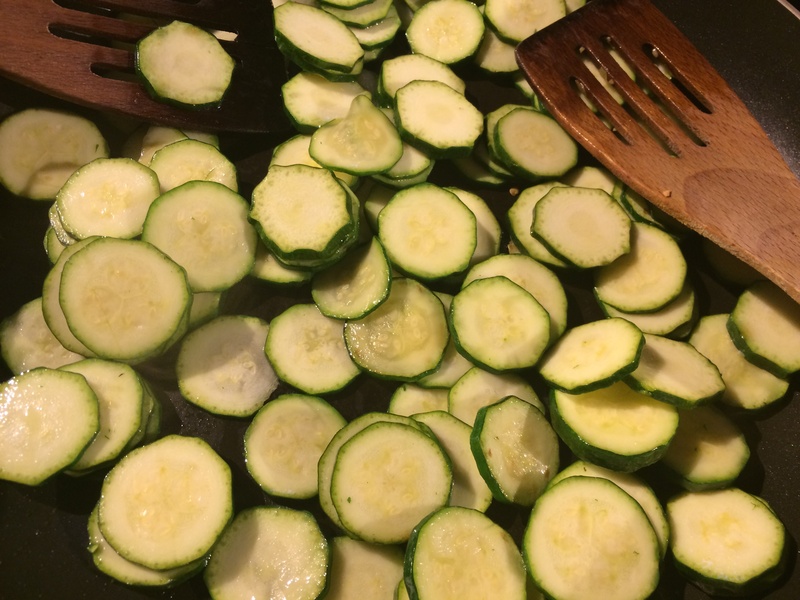 Then some courgettes – just as with the aubergines, slice, coat in olive oil, and fry until starting to colour. Add to the mixing bowl. Finally, some tomatoes, skinned and chopped into chunks. Fry those until they start to soften, and then add them to the mixing bowl. Season generously with salt and pepper, mix together throughly and then put in a baking dish. Lay a bay leaf and some thyme on the top, cover with foil and bake for three quarters of an hour. Once done, remove from the oven, stir in some fresh basil and crushed coriander seeds, and leave to stand for 15 minutes. I served this with some of Waitrose’s Toulouse sausages. 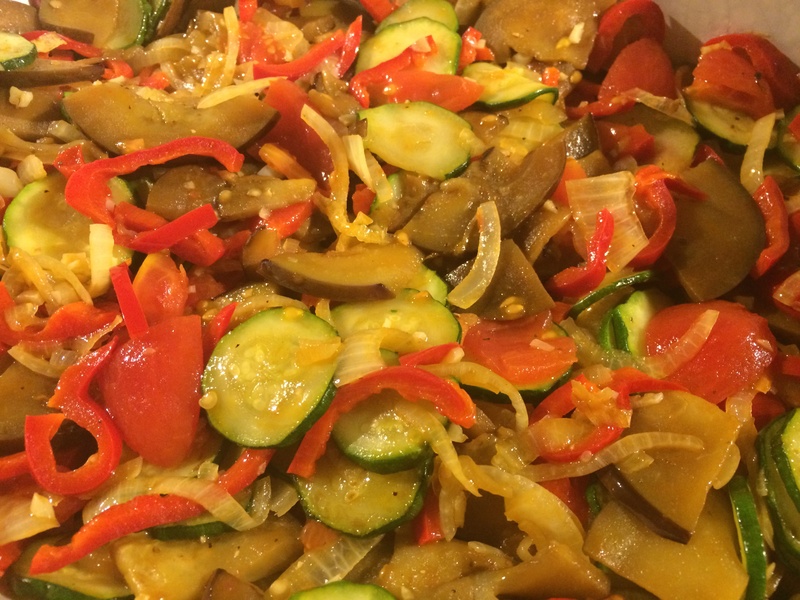 Verdict: The Ratatouille was delicious. The vegetables were full of flavour, and hadn’t degenerated into the random mush you so often see. Definitely one to make again. And yes, we did then go on to rewatch Ratatouille, the film. Who knew ratatouille didn’t have a tomato based sauce as part of it’s make-up? I didn’t. But what I’ve just eaten was dry and tasty. It had a creamy texture, probably from the olive oil and aubergine. Peppery on the tongue. Just a really nice collection of vegetables really. Very nice. Would go with all sorts of things. I usually make mine by roasting the vegetables in the oven but I don’t think I’d have the patience to gild each vegetable separately. 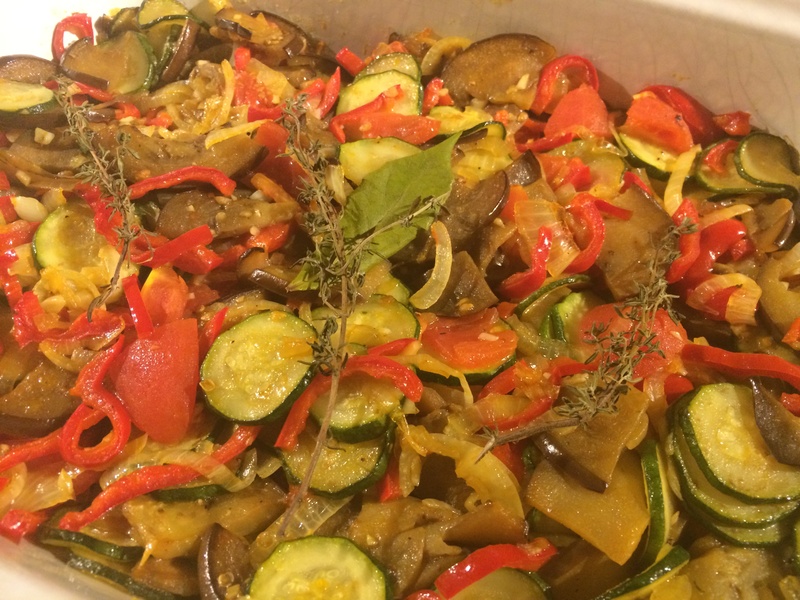 We have ratatouille quite frequently due to having a vegan in the family — and it tends to turn out differently every time.